Which justice system is more flawed the UK or US? And how do we ensure we don’t allow human rights abuses to happen under our watch? Those were the questions posed to a sell-out audience at Dorchester’s Shire Hall this week. 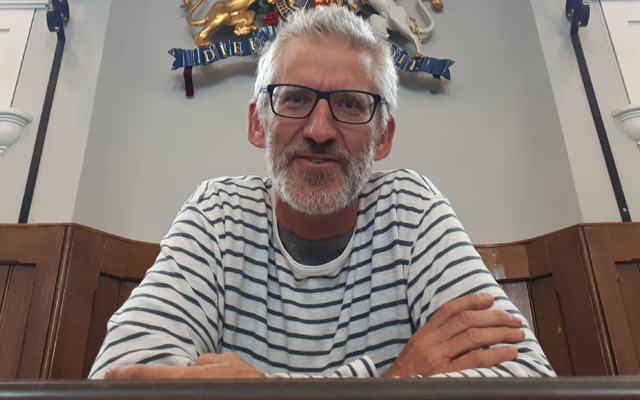 Patron at Shire Hall, Clive Stafford Smith, who lives in Dorset, is an international human rights lawyer who founded Reprieve. The organisation holds governments around the world to account and is currently working on behalf of more than 100 people facing the death penalty in 17 countries, and 7 men imprisoned in Guantánamo Bay. The organisation’s vision is a world free of execution, torture and detention without due process. For his recent talk at Shire Hall Clive donated his time for free so that all the money raised from the event could go to funding the museum. 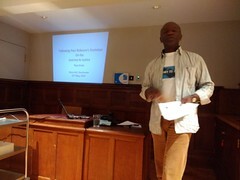 The subject of the talk was whether the UK or US justice system was worse. Clive said a key issue was that in the US they could speak to jurors after the trial, something that does not happen in the UK. He said that one case, which he thought would be an open and shut case of acquittal, saw the jury deliberate for hours. They finally acquitted Clive’s client but when he asked the jury after why they had taken so long, the answer astounded him. Clive, who is a Dorset resident himself, said he wanted to work with Shire Hall because it was a place to not only educate but inspire the next generation though its work. Far from being a stuffy museum, they are bringing it to life by putting trials on in the courtroom with students taking the lead as jurors and bringing real historical cases to life. To find out more about Reprieve’s work visit reprieve.org.uk. Songs and stories of migration echoed around the Georgian courtroom of Shire Hall Historic Courthouse Museum on Wednesday night (June 13th), for Matthew Crampton and Jeff Warner’s touring show, ‘Human Cargo’. 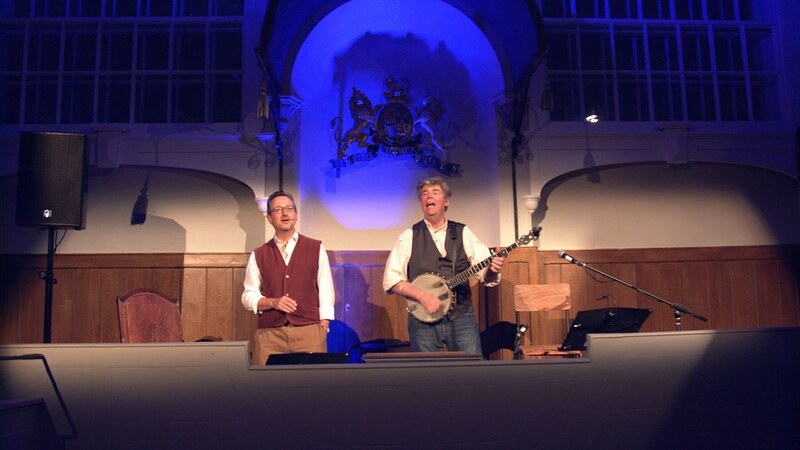 The two folk performers used the humour, poignancy and hard-hitting facts of true stories to tell the tales of individuals who have moved across continents. The thought-provoking stories spanned centuries with examples of slavery, transportation and the clearances, whilst maintaining a link with the great migrations of our own time. 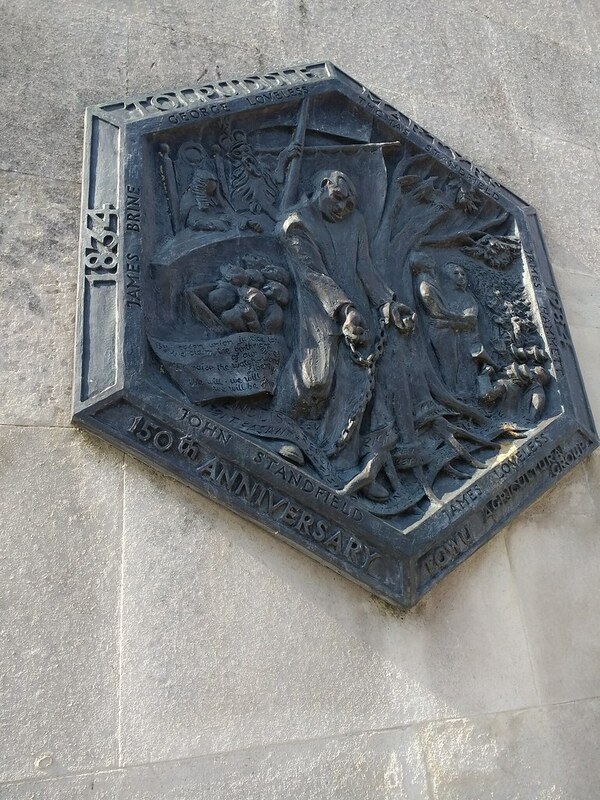 The performers delivered everything from soulful songs of the slave ships to music hall numbers of the 1920s – all while standing in the Judge’s podium, from which so many sentences of transportation were delivered. The packed audience were swept up in the performance, joining in with familiar songs that were given a new edge within the context of migration. The show was lent an added potency by the surroundings, which had witnessed so many of the stories featured in the performance. Matthew Crampton’s local research added an immediacy by weaving in stories from close to home, such as the Tolpuddle Martyrs and Dorset slave owners. Fellow performer Matthew Crampton said: “What a wonderful place to bring our show Human Cargo. The Shire Hall, as expected, was rich in atmosphere. 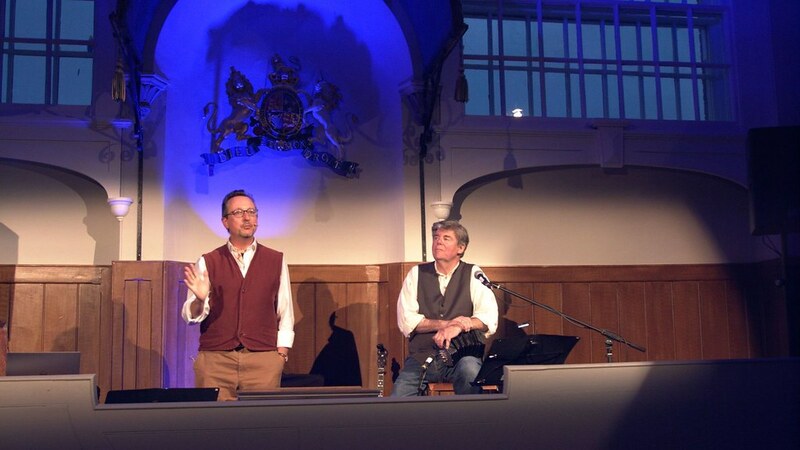 But it was also a lovely venue in which to perform. 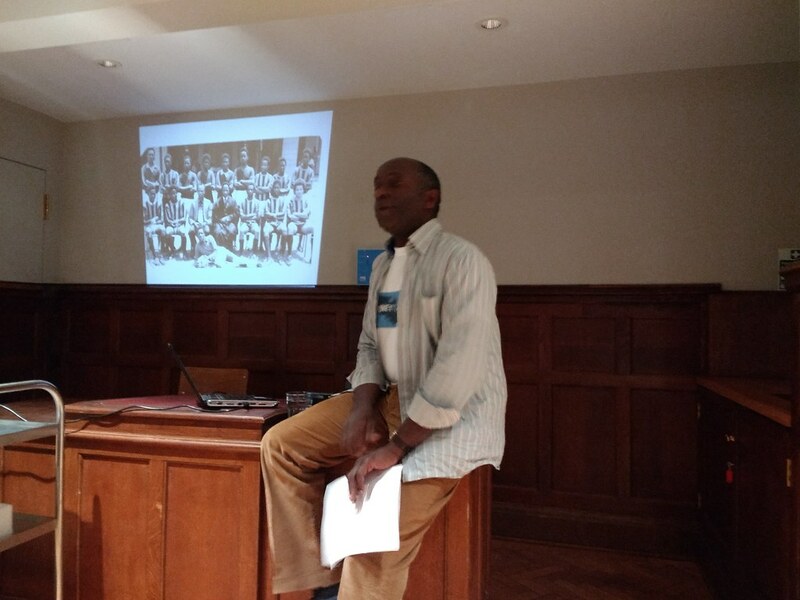 The event was supported by the Verne Visitors Group, Dorset Race Equality Council and the Multicultural Network, and was part of the events programme for Shire Hall’s free temporary exhibition, ‘Journey to Justice’ which runs until the end of August. Caz Dennett and other volunteers from the Verne Visitors Group were partners in the event, Caz said: “The Human Cargo show highlighted our history of migration across the world and past injustices that we might scoff at now for being absurd, but similar injustices continue today. This was the first time the Georgian courtroom had been used as a performance space since the opening of the new museum and heralds further events. Those interested in being kept updated with further events and exhibitions at Shire Hall Historic Courthouse Museum, can sign up to their mailing list at www.shirehalldorset.org. The museum is open every day from 10am to 5pm. Entry to the permanent exhibition (including the cells and courtroom) is £8.50 for adults, £4.50 for children and £20 for a family, this includes an annual season ticket giving visitors unlimited free returns for a year. For more information visit www.shirehalldorset.org, find the team on Facebook @DorsetShireHall, Instagram @shire_hall_dorset and on Twitter @ShireHallDorset. 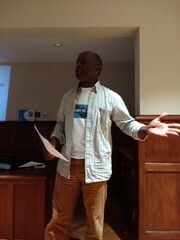 A STORY of discovery and dedication was told by Nigerian actor Tayo Aluko as he gave the background and a preview of his play with music, Call Mr Robeson which is being performed in Dorset this week. 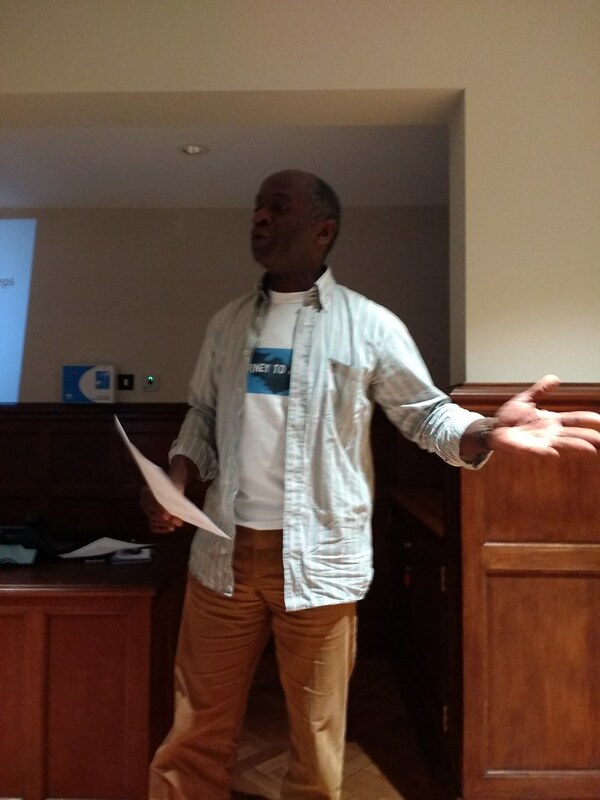 Trained as an architect but always a keen amateur singer and performer, Tayo was living and working in Liverpool in 1995 when he was invited to sing at a charity function. A woman in the audience later approached him and said his voice reminded her of Paul Robeson, a man he had barely heard of and of whom he certainly knew nothing. But that meeting changed his life as research by Tayo on the American singer and film star revealed the depth and influence that Paul Robeson had on raising the flag against racial injustice and inequality which was then deemed to be both controversial and even illegal. As a result of his discovery, the Nigerian finally abandoned his career as an architect and Tayo now tours the world as an award winning actor with his play which highlights the life and work of Paul Robeson in his role as a passionate political activist who spoke out for peace and harmony among nations. Tayo’s appearance at the Shire Hall coincides with an interactive exhibition in the building from June 4 until the end of August that is entitled Journey to Justice and which tells some of the stories of ordinary people worldwide who have spoken out for civil rights and social justice. A SINGER, actor, sportsman and political activist, African-American Paul Robeson was a big man in more ways than one. In his day he raised the stakes across the world for equal rights, taking his campaign to Spain, France, the United Kingdom and the Soviet Union where he was so enamoured of their socialist policies that he sent his son to be educated in that country. In this illustrated and musical tribute to the great man, Nigerian born Tayo Aluko not only wrote but also performs his one man show which has since travelled the world enlightening people to this largely forgotten forerunner of the civil rights movement. His fine baritone voice illustrates some of the gospel songs associated by Robeson such as Ole Man River, which made him famous when he starred in the 1930s film Showboat, but it is the star’s livelong campaign for justice that is the main focus of Tayo’s moving story about his hero. Living and working in Britain for a number of years, Robeson supported the Trades Union movement and especially the Welsh coal miners in their fight for workers’ rights, this passionate drama bringing to the fore the price Robeson often paid for his outbursts. This emotionally charged piece of theatre gripped the audience with its message of exploitation of the disadvantaged and how one man took upon his shoulders their battle for equality, a fine example of theatre at its best. Shire Hall, the old Crown Court in Dorchester where the Tolpuddle Martyrs were held and tried, is currently undergoing a major Heritage Lottery Funded redevelopment. It will open in March 2018 as a new historic courthouse museum, with a focus on justice in its broadest sense to include social justice, and encompassing many aspects of past and present law, politics, citizenship and history. Journey to Justice will be Shire Hall’s opening exhibition in 2018 and a major part of one of our HLF activity plan projects, leaving a learning and engagement legacy which we will continue to build on in the future. Over thirty people came to our taster day at the end of January to find out more about Journey to Justice and Shire Hall’s plans. Representatives from organisations who work with young people, community groups, justice based organisations, faith groups and a good cross section of other interested parties gathered to share ideas and input into our plans. The aim of the Taster session was to explore how we could link the Journey to Justice exhibition with young people and the history of social justice in Dorset, particularly focusing on the story of The Tolpuddle Martyrs. 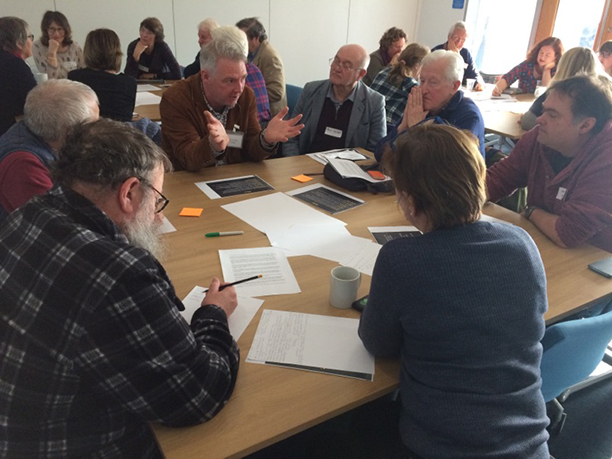 A common theme occurring in all the discussions identified the problems young people in Dorset have living in a rural county with little public transport leading to problems with social isolation. This is exacerbated by seasonal and limited job opportunities most of which are zero hours’ contract and minimum wage. In Dorset, there is a significantly wide gap between the ‘Haves’ and ‘Have Nots’. Whilst situated in a ‘chocolate box’ holiday destination county where a large part of the population are over 55 years of age, there are a significant number of areas in the top five most deprived wards in the UK. It was agreed that there are many parallels between the Tolpuddle story and the stories of young people today, and that Journey to Justice would provide an ideal opportunity to work with young people to reflect on and communicate their own stories to a wider public through a range of creative activities. 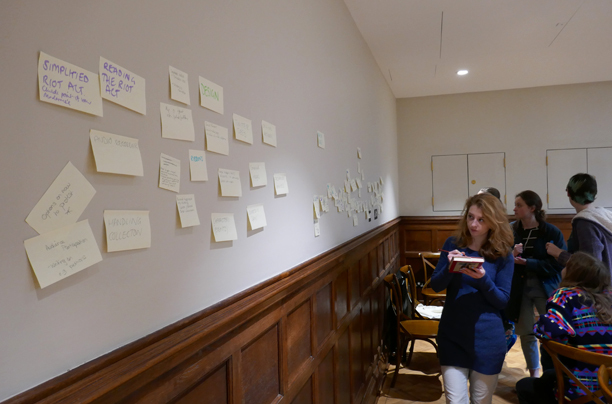 The final part of the session looked at who could do what to make this happen, the end product of which was a list of people and contacts that were happy to be involved in the development and delivery of Journey to Justice at Shire Hall. The Taster Day was an incredibly exciting and stimulating session which far exceeded our expectations in terms of the amount of positive interest and responses. 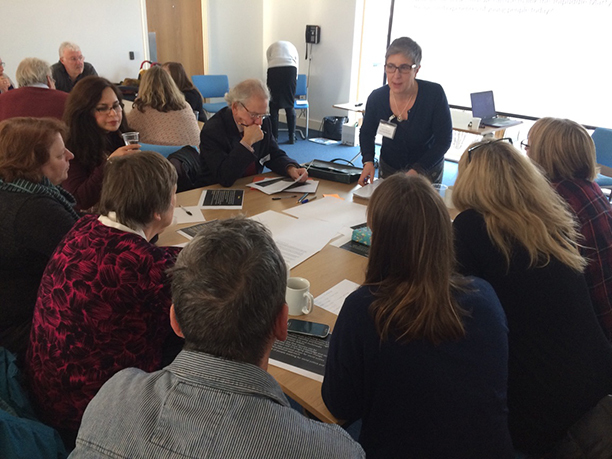 We are making good progress on working with partners to develop the ideas and links that were made at the Taster Session and we are really looking forward to Journey to Justice at Shire Hall in 2018. A group of local, young people have been working with Shire Hall staff to create a response piece to ‘Journey to Justice’. They have taken the theme of grassroots protests, and have looked at the different way that people have protested against multiple issues in Dorset over the last 500 years. Through a series of workshops, they have researched, written and designed an exhibition response, which will be displayed in Shire Hall alongside the Journey to Justice exhibition from June-August 2018.